Many people end up at UnchainYourDog.org looking for information on dogfighting. Some Americans have glorified pit bull fighting. 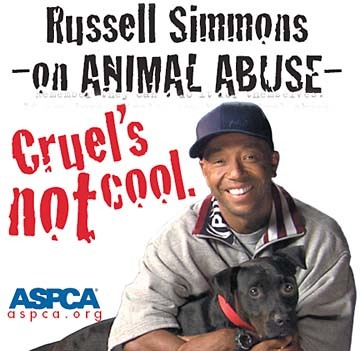 We agree with Russell Simmons (see poster), Jason Taylor, boxing champions Lamon Brewster and Sugar Mosley that Cruel's Not Cool. It is NOT a dog's nature to fight for no reason. Dogs are social animals who - in the wild - hunt, sleep, and play together. It is a dog's nature to respect the pack leader and get along with the pack. Not fight. A dog can't say "That hurts!" but dogs feel physical pain. Your dog would rather play with your or another dog than fight. Just like a child would rather play with friends than be abused. So much cruelty is involved. Dogs are tortured and killed. Kittens and puppies are used as bait. Illegal drugs and weapons are common. Fighting dogs usually live on chains their whole lives. 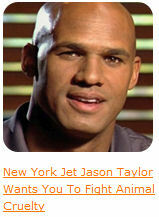 Dog fighting is a felony, so report it to the police and get a $5,000 reward! You don't have to leave your name. To prosecute, police need to catch a fight while it's going on, find evidence, or get eyewitness accounts. 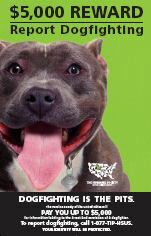 Humane Society of the US Campaign to End Dogfighting - HSUS offers tons of resources including videos (select "fighting and cruelty" channel), and has created a campaign you can bring to your city to end dogfighting. The site also has PSAs you can order to play in your community. 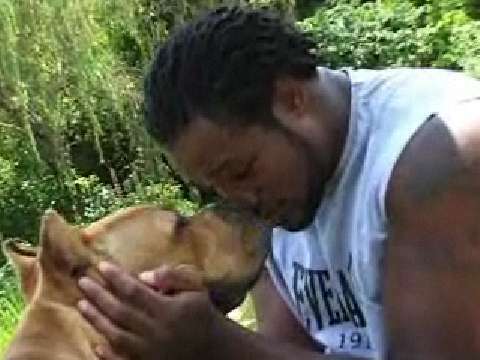 HSUS has worked with Michael Vick to educate kids about the cruelty of dogfighting. I don't understand how seemingly normal people can watch dogs being tortured and killed and find it fun. Maybe they believe dogs enjoy fighting (untrue) and don't feel pain (untrue)? Maybe - like those who abuse women and children - they feel a sense of power from hurting others. Maybe they just don't respect life - animal or human. Our society needs to change minds that dogfighting is not only uncool - it's horrible and needs to stop. Guard Dog, from Patrick McDonnell's wonderful comic strip Mutts.